Hope you are having a great week. I’ve been busy, busy with a few upcoming projects. Good things are happening! We are enjoying summer around here and soaking it all in. My kiddos only have 1 month left before school starts back. And this year my 4 year old, Sophia, starts Pre-K. Exciting and terrify and life changing! I fell in love with it and it was FREE!! It’s actually pretty big compared to similar tables I’ve come across. It’s over 2ft wide and 2ft tall. The top opens to a little compartment so it doubles as storage. I’ve been keeping my shelter mags in it 🙂 She needs a little love so I’ve been looking for some inspiration and thought I’d share what I’ve found with you lovely people. 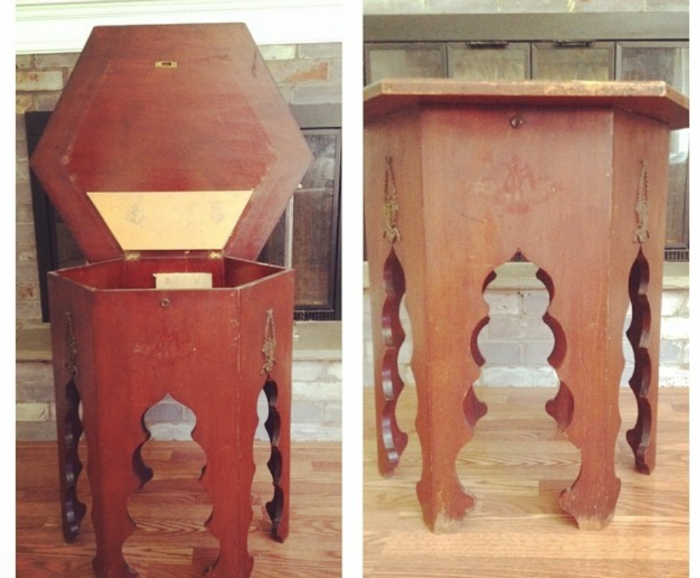 My favorite is definitely that Bone Hex Table from Wisteria. I LOVE it! I’ll be sharing the the finished table next week. If you haven’t subscribed yet, be sure to so you don’t miss anything! You are going to have SO MUCH fun with this! I cannot wait to see what you come up with! I LOVE that drum pattern! I know whatever you do will be fabulous! Thanks, can’t wait to show everyone! Can’t wait to see what you do with it! I know whatever you do it is going to be fabulous! These are so fun! So so so so so excited to see your final reveal! Great find! Can’t wait to see how it turns out! 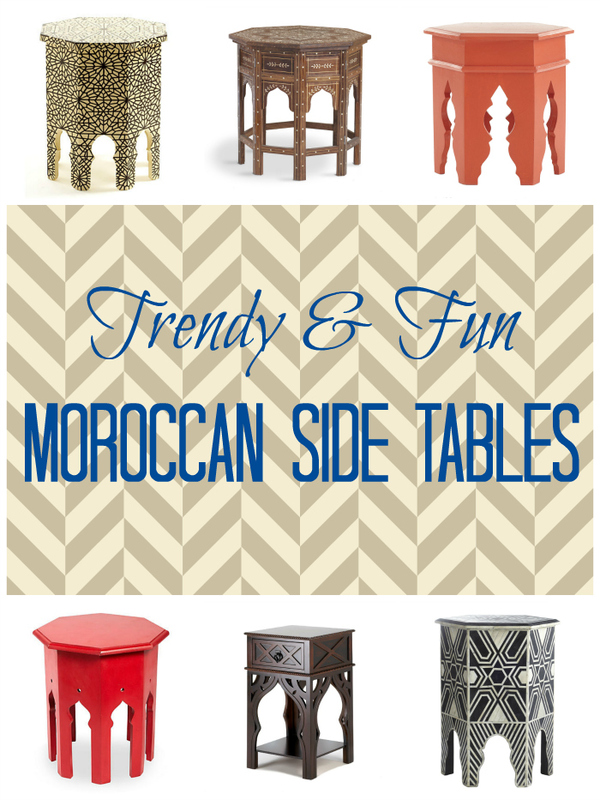 I love moroccan style decor… These are beautiful! Can’t wait to see your transformation! What a great find ! Can’t wait to see the finished product! What an awesome find! I love this! I’m a world traveler so I love decorating with memories of my travels, this is a perfect piece to make your own. Perfect! I am all about the bright colors of Morocco right now! Show me something blue:) Just being partial to my personal preference, ha ha.